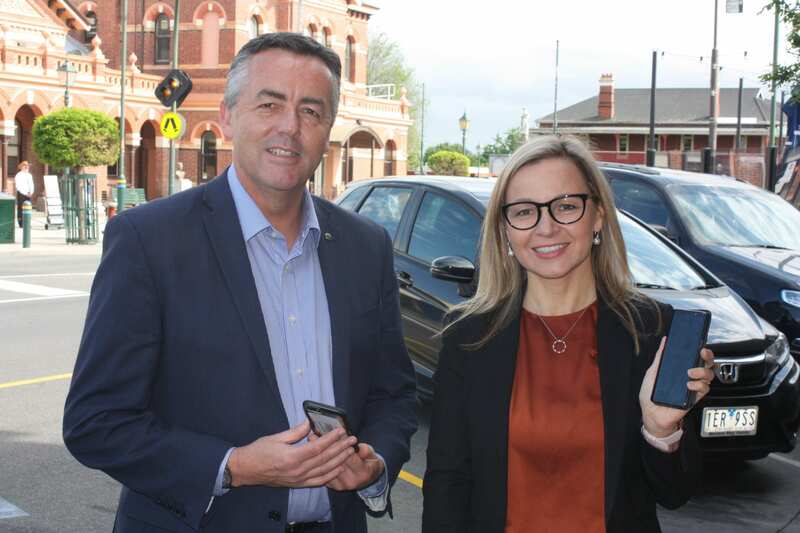 The Nationals Member for Gippsland Darren Chester, pictured with Telstra Area General Manager Loretta Willaton, says a new mobile base station will improve phone coverage in Traralgon South. A new mobile phone base station has been switched on to improve coverage for residents, businesses and visitors in Traralgon South. The Telstra tower, located near Redhill Road, is one of 12 mobile phone base stations either built or upgraded in Gippsland under the Federal Government’s Mobile Black Spot Program. Mr Chester said the new Traralgon South base station would improve coverage in the Koornalla area and complement recent mobile phone service upgrades at Mack’s Creek, Carrajung Lower and Gormandale. “Traralgon South had been reported by the community as an area with poor or no mobile phone service,” Mr Chester said. “Mobile phone coverage is critically important in emergency situations, like a car crash or natural disaster such as a bush fire. In those situations, phone coverage can save lives. “Upgraded mobile phone towers not only improve safety, they make destinations more attractive to visitors and enhance community connectedness. Mr Chester said Federal Government had committed $220 million to improve mobile phone black spots across the country. “Connectivity in all its forms, including mobile phone and internet coverage, is critical to the economic growth and prosperity of regional Victoria. The ability to stay connected will underpin job opportunities and the social fabric of our regions for decades to come,” Mr Chester said. In June, the Federal Government announced $25 million for round four of the Mobile Black Spot Program. Applications for funding from mobile network operators and infrastructure providers are open until December 10.